There is way to get mortgage under old rules for up to 8 month in 2018. The Office of the Superintendent of Financial Institutions (OSFI) issued a revision to Guideline B-20 on October 17, 2017. The changes will go into effect on January 1, 2018 and will require conventional mortgage applications to qualify at the greater of the Bank of Canada’s five-year benchmark rate (currently 4.99%) or the contract rate plus 2%. Any applications for conventional mortgages submitted after midnight December 31, 2017, will be underwritten using the new qualification guidelines, subject to specific product exemptions such as switches and insurable deals. What does this mean for existing commitments and pre approvals? Any pre approval committed prior to January 1st will remain valid for 120 days from the date of the original approval. Any extensions of an expired pre approval after December 31, 2017 must be qualified using the qualifying rate based on the new rules. Should a pre approval that was committed in 2017 turn into a real deal, the old rules apply even if the closing date of the new purchase is greater than the expiry date of the pre approval, but no greater than 120 days from the date of the commitment for the real deal. Example: A pre approval committed prior to January 1st expires March 15, 2018. Borrowers purchase a property closing May 1, 2018. If the real deal is committed on/before March 15th, we still qualify the deal using the old qualifying rate rule. 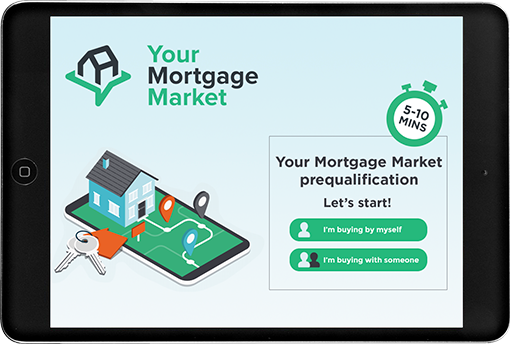 The rate is no longer protected as the closing is beyond the expiry date of the pre approval, however the old rules still apply for qualification, as long as the deal closes within 120 days. Any existing commitments, approved in 2017 and closing after January 1, 2018, will remain valid and will not have to be re-adjudicated under the new qualifying rate. Any application received after December 31, 2017 will be underwritten using the new qualifying rate regardless of the date of the purchase agreement. Only applications received before January 1st will be qualified using the old qualifying rate. Example 1: Application received on January 15, 2018 with a purchase agreement dated November 15, 2017. Since bank has not issued a commitment on this application prior to January 1st, the new qualifying rate would have to be used. Example 2: Bank issued a commitment on November 15, 2017 for a purchase closing on June 15, 2018. The rate will be set on this deal 120 days prior to closing (Feb. 15, 2018) and must be re-adjudicated at that time. Since a commitment was issued in 2017, the old rule will apply for qualification purposes. All refinance deals committed in 2017 and closing in 2018 do not have to be re-adjudicated. However, should the closing not take place on the expected closing date and the deal is extended beyond 120 days of the original commitment date, the application would have to be re-adjudicated using the new qualifying rate. Please note that any changes/revisions to the original commitments, including pre approvals after January 1, 2018 will require the deal to be re-qualified under the new rules. Currently 5 years fixed rate for conventional mortgage pre-approval 3.44%. If you are thinking to buy in next 8 month, or refinance in next 4 month ask me to get you pre-approval. There is no cost and no obligation for pre-approvals. Don't need to provide any documents. I will just need mortgage application and credit bureau.